The Orville 1x11 "New Dimensions" Season 1 Episode 11 Promo - Kelly discovers that Lt. John Lamarr is smarter than he lets on. So, she pushes Ed to consider him for a key leadership position on the ship after The Orville gets damaged by a mysterious spatial anomaly causing harrowing effects to all things living in the all-new “New Dimensions” episode of THE ORVILLE airing Thursday, November 30th on FOX. After sorting through thousands of letters all requesting something of president, the White House staff are assigned three, with Emily, Seth, Aaron, Llyor and Kendra joining forces to get answers and possibly save a life. Meanwhile, Hannah and Damian continue to chase down leads to exonerate the first lady, but in the end, Hannah learns the truth may be closer than she thinks, on ABC’s “Designated Survivor,” airing Wednesday, December 6th on ABC. The Big Bang Theory 11x09 "The Bitcoin Entanglement" Season 11 Episode 9 Promo - Sheldon tries to teach the guys a lesson after they cut him out of a potentially valuable Bitcoin investment. Also, a seven-year-old video reveals a secret about Leonard and Penny’s relationship, on THE BIG BANG THEORY, Thursday, November 30th on CBS. DC TV's Crisis on Earth-X crossover finishes with new episodes of The Flash and DC's Legends of Tomorrow, TONIGHT at 8/7c on The CW! Gotham 4x10 "Things That Go Boom" Season 4 Episode 10 Promo - Gordon tries to broker a deal with Penguin that involves Sofia. Meanwhile, Alfred tries to pull Bruce out of his teenage-angst and downward spiral, as Lee Thompkins gains more control over the Narrows in the all-new “A Dark Knight: Things That Go Boom” episode of GOTHAM airing Thursday, November 30th on FOX. Subscribe to tvpromosdb on Youtube for more Gotham season 4 promos in HD! 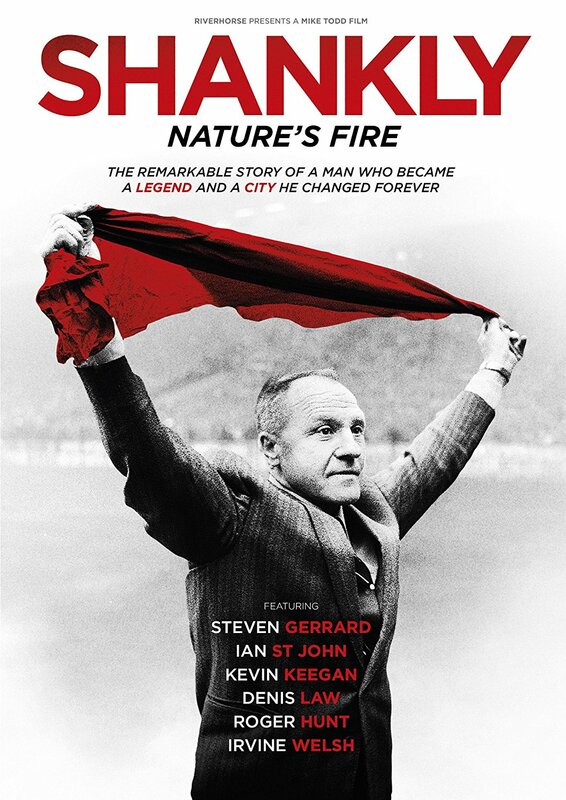 Shankly: Nature's Fire is out on DVD on 4th December and to celebrate we have a great competition for you and a copy of the DVD to give away. Nature’s Fire explores the remarkable life and career of Bill Shankly, the legendary Liverpool Football Club manager who came to leave such a legacy in his adopted home city. The film is a nostalgic journey into the origins of the world’s favourite game, and how legends are born and transcend generations. Perhaps no one before or since has personified the spirit of the working class culture that gave birth to the modern game. Shankly’s passion for football was boundless to the point of obsession. To understand who Shakily is, where he came from and the loyalty and passion he inspired, is to understand the spirit of football itself. This unique documentary also features interviews with the likes of Jamie Carragher, Howard Gayle, Chris Lawler, Mark Lawrenson, and Hugh McIlvanney. Arrow 6x07 "Thanksgiving" Season 6 Episode 7 Promo - OLIVER AND FELICITY CELEBRATE THANKSGIVING WITH WILLIAM — Oliver (Stephen Amell) celebrates Thanksgiving with his family but the happy moment is interrupted. Meanwhile, Black Siren (Katie Cassidy) returns to wreak havoc on the holiday. Gord Verheul directed the episode written by Wendy Mericle & Speed Weed (#607). Original airdate 11/23/2017. Supernatural 13x07 "War of the Worlds" Season 13 Episode 7 Promo - As Sam (Jared Padalecki) and Dean (Jensen Ackles) continue their search for Jack (Alexander Calvert), with Asmodeus (guest star Jeffrey Vincent Parise) hot on their trail, they stumble across a familiar foe. Meanwhile, Lucifer (Mark Pellegrino) manages to escape Michael’s (guest star Christian Keyes) grasp and finds himself an unlikely and mostly unwilling ally. The episode directed by Richard Speight, Jr. was written by Brad Buckner and Eugenie Ross-Leming (#1307). Original airdate 11/23/2017. Marvel's Agents of SHIELD 5x01 "Orientation, Part One" Season 5 Episode 1 Sneak Peek - Coulson and the team find themselves stranded on a mysterious ship in outer space, and that’s just the beginning of the nightmare to come, when “Marvel’s Agents of S.H.I.E.L.D.” returns for its highly anticipated fifth season with a special two-hour premiere, Friday, December 1st on ABC. British actors Tom Burke as ‘Cormoran Strike’ and Holliday Grainger as ‘Robin Ellacott’ lead an all-star cast of acclaimed British actors, including Amber Anderson (The Riot Club, Black Mirror), Tara Fitzgerald (Death in Paradise, In The Club), Martin Shaw (Inspector George Gently) and Sian Phillips (Midsomer Murders, Under Milk Wood) for Part One of the major new BBC One series; Strike - The Cuckoo’s Calling. 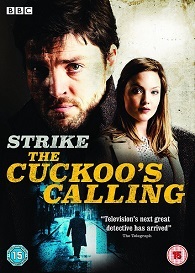 Tom Burke, who most recently starred in BBC’s epic War & Peace as ‘Fedor Dolokhov’ and in The Musketeers as ‘Athos,’ is Strike, a war veteran turned private detective operating out of a tiny office in London’s Denmark Street. Though he’s wounded both physically and psychologically, Strike’s unique insight and his background as an SIB Investigator prove crucial when he begins to seek the truth surrounding the mysterious death of supermodel Lula Landry. Holliday Grainger, who most recently starred in BBC’s Lady Chatterley’s Lover as Lady Constance Chatterley, plays Robin, Strike's assistant. Though she begins as a temporary secretary, managing Strike’s chaotic life, she soon becomes involved with his caseload and begins to see her true potential. © Brontë Productions Limited. © 2017 Warner Bros. Entertainment Inc. All rights reserved. To be in with a chance of winning, all you need to do is answer this question. The Best of Only An Excuse? 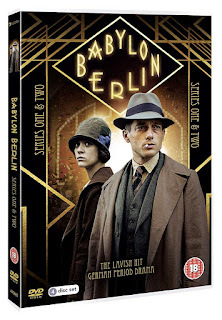 is out on DVD now and to celebrate we have a great competition for you and 3 copies of the DVD to give away. 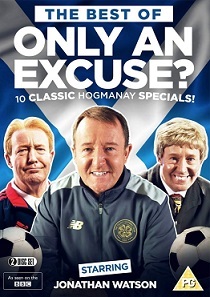 And now this Scottish institution can be celebrated not just north of the border but beyond, and not just on New Year’s Eve, as it arrives for the first time on DVD as one bumper collection in The Best of Only an Excuse?, including all episodes from the last 10 years (2007 to 2016), as seen on the BBC. Labels: The Best of Only An Excuse? Escape the impossible. Marvel's Agents of SHIELD Season 5 premieres with a two-hour event, Friday December 1st on ABC. Marvel's Agents of SHIELD Season 5 premieres Friday December 1st on ABC with a two-hour event - and it's out of this world! Jane The Virgin 4x06 "Chapter Seventy" Season 4 Episode 6 Extended Promo - Jane’s (Gina Rodriguez) book is finally being released but her plans to have a party at the local bookshop where she was inspired to be a writer hit a snag. Always wanting to help Jane, Rogelio (Jaime Camil) devises a plan to save the day, but one of his archrivals threatens to ruin the day. Rafael (Justin Baldoni) finds a job, but it is not exactly what he was hoping for. Meanwhile, Petra (Yael Grobglas) has come up with an interesting strategy to get the Marbella back, but Rafael wants nothing to do with it. Andrea Navedo and Ivonne Coll also star. Melanie Mayron directed the episode written by Carolina Rivera & Micah Schraft (#406). Original airdate 11/17/2017. The Exorcist 2x07 "Help Me" Season 2 Episode 7 Promo - As the exorcism begins, the fate of the foster home hangs in the balance. This is an adversary unlike anything Marcus and Tomas have ever faced, and in order to save this family, the two of them must journey into the mouth of madness itself in the all-new “Help Me” episode of THE EXORCIST airing Friday, November 17th on FOX. Designated Survivor 2x08 "Home" Season 2 Episode 8 Promo - While on a secret mission to Afghanistan, President Kirkman meets with two infamous warlords and must determine whom he can trust to hand over territories to the United States, while Seth has a run-in with Washington D.C. police that puts his job, reputation and future in the White House on the line, on “Designated Survivor,” airing Wednesay, November 29th on ABC. 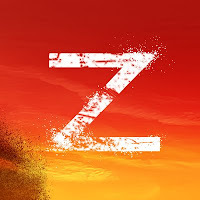 Z Nation 4x08 "Crisis of Faith" Season 4 Episode 8 Promo - Warren and the others encounter a mysterious stranger who they think is a grave robber. Walk a Mile: Tales of a Wandering Loon is the story of how one man’s normal, nurturing childhood turned into one of neglect, alcoholism and sexual abuse following his mother’s death. His story explores how this, combined with a little faulty brain wiring, lead Chris to a severe and enduring mental illness. It is also the story of how he’s tackling mental health stigma, one step at a time. As a kind, chatty, and good-humoured man with a zest for life and a passion for helping people, Chris Young adored his job as a social worker. But things fell apart when, in 2008, he was diagnosed with borderline personality disorder, the symptoms of which include vivid, horribly imaginative thoughts of violent self-harm, long or short periods of dissociation in which the world around him doesn’t feel real, difficulties maintaining healthy relationships and inappropriate or uncontrollable anger. His illness brought about the end of his job, the failure of his marriage and the loss of his home. Desperate for help, he undertook group psychotherapy and slowly learned to understand, accept, and better manage his condition. Along the way, he realised that he wanted to give something back. His work in social care had shown that even some mental health professionals were prejudiced against borderline personality disorder. Chris Young wanted to change people’s perceptions of mental health and prove that people, no matter their background, race, age, or political affiliation, could be fabulous, hospitable, interested and interesting and eager to talk about mental ill health. He came up with Walk a Mile in my Shoes – an awareness campaign in which he would walk around the edge of the UK, representing the edge of society, where many people with mental health problems feel they are. In the style of the Jain monk Satish Kumar, who walked from India to Pakistan in the 60’s to share his views on nuclear arms, Chris Young would make his Walk a Mile trek with no money, relying solely on the kindness of other people for food, water, shelter and compassion. He would go only with a backpack full of supplies and a head full of ‘what if', bringing people together to discuss mental health and the issues surrounding it. And so in 2011, 34 years to the day after his mum’s death, Chris embarked on his journey. He was joined along the way by members of the public, as well as celebrities such as Sir Chris Hoy, and the adventures shared on his blog soon captured public and media interest throughout the country. 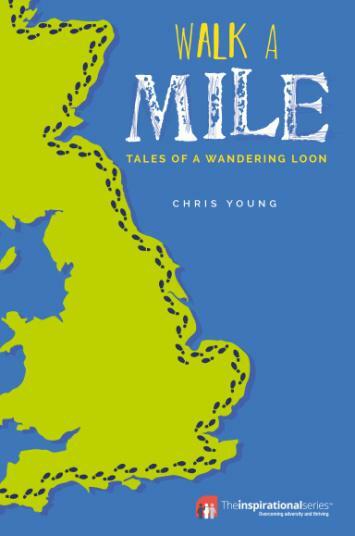 Walk A Mile is the story of Chris Young's struggle to reach an understanding of his own mental health, looking back at the traumatic events leading up to his diagnosis and treatment. He also shares tales of his eye-opening, heart-warming travels around the UK, and the many wonderful people he met along the way who shared their stories. He's since joined with See Me Scotland, a Scottish programme to tackle mental health stigma and discrimination, to bring people together at #LetsWalkAMile events throughout Scotland to talk about mental health, literally walking a mile in each other’s shoes. He has also founded the Walk a Mile in My Shoes charity, with the aim of bringing the events to England, Wales and Northern Ireland. Chris knows he's not going to 'get better', but he is getting better at managing his condition, and he's happy. He wants to continue the many conversations he's started about how we can change the stigma around mental health. Chris Young was born and grew up in Corby, Northamptonshire. After completing a degree in psychology in London, he moved to Edinburgh, where he completed a Masters in Social Work at Edinburgh University. He lived in before returning to Edinburgh, and now lives in Warwickshire with his wife. You can buy this book from Amazon using the link below which opens in a new window. Once Upon a Time 7x07 "Eloise Gardener" & 7x08 "Pretty in Blue" Promo - A tangled riddle, a trip to Wonderland, a special two hour event where mystery and adventure leads to an astounding revelation. Blindspot 3x04 "Gunplay Ricochet" Season 3 Episode 4 Promo - As the team chases a deadly bomber who's terrorizing Manhattan, Jane (Jaimie Alexander) uncovers a shattering secret from her youth. The Gifted 1x07 "eXtreme measures" Season 1 Episode 7 Promo - Eclipse receives a call from his ex-lover, Carmen (guest star Michelle Veintimilla), and must revisit his dark past in order to protect the Underground. Reed and Sage (Hayley Lovitt) comb through some secret files they recovered and find alarming information about Lauren's new friend. 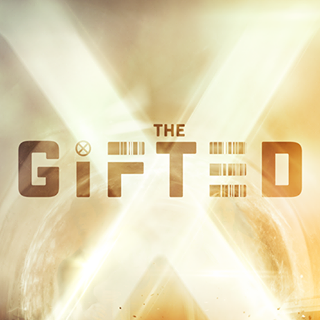 Meanwhile, Thunderbird helps Blink open up about her past life and Jace greenlights a special surveillance program with the help of Dr. Campbell (guest star Garret Dillahunt) in the all-new “eXtreme measures” episode of THE GIFTED airing Monday, November 13th on FOX. The Orville 1x10 "Firestorm" Season 1 Episode 10 Promo - When a fire breaks out on The Orville and a crew member dies, Alara begins to question if she is fit for her job, just as unusual and terrifying things start happening on the ship in the all-new “Firestorm” episode of THE ORVILLE airing Thursday, November 16th on FOX. Ghosted 1x06 "Sam" Season 1 Episode 6 Promo - While Captain Lafrey is out, Annie installs a smooth-talking Artificial Intelligence, “Sam,” to manage the office, but Max and Leroy are put to the test when “Sam” turns out to be an evil and powerful force trying to take down the Bureau Underground. All the while, Max is jealous when Leroy makes a new friend in the all-new “Sam” episode of GHOSTED airing Sunday, November 12th on FOX. Supergirl 3x06 "Midvale" Season 3 Episode 6 Extended Promo - Kara (Melissa Benoist) and Alex (Chyler Leigh) head home to Midvale for a little R&R. While there, Kara recalls a painful memory of a childhood friend’s death and how that traumatic experience brought the Danver sisters closer together. Izabela Vidovic plays Young Kara and Olivia Nikkanen plays Young Alex in flashbacks. Rob Greenlea directed the episode written by Caitlin Parrish and Jess Kardos (#306). Original airdate 11/13/2017. Marvel's Inhumans 1x08 "...And Finally: Black Bolt" Season 1 Episode 8 Promo (Season Finale) - It’s brother versus brother as the final showdown between Black Bolt and Maximus takes an unexpected turn – one with lasting consequences for all of Inhumanity, on the exciting season finale of “Marvel’s Inhumans,” airing Friday, November 10th on ABC. Once Upon a Time 7x06 "Wake Up Call" Season 7 Episode 6 Promo - Check out the promo for Once Upon a Time Season 7 Episode 6 "Wake Up Call" airing next week on ABC. 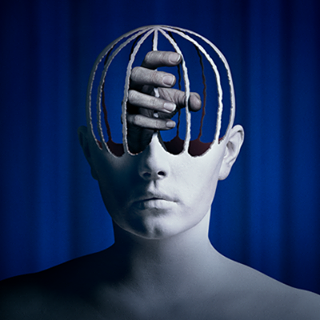 The next chapter of the Channel Zero anthology is served in 2018. Inspired by Kerry Hammond’s “Search and Rescue Woods” Creepypasta tale, the Butcher’s Block installment tells the story of a young woman named Alice (Olivia Luccardi, It Follows) who moves to a new city and learns about a series of disappearances that may be connected to a baffling rumor about mysterious staircases in the city’s worst neighborhoods. 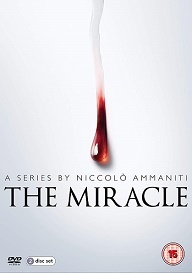 With help from her sister, she discovers that something is preying on the city’s residents. Supergirl 3x05 "Damage" Season 3 Episode 5 Sneak Peek - When multiple children get sick from lead poisoning, Morgan Edge (guest star Adrian Pasdar) points the finger at Lena (Katie McGrath) and blames her creation of the lead bomb she made to save National City from the Daxamites. While Lena knows she never intended any harm, she fears there may have been a flaw in her design, leaving her responsible. Kara (Melissa Benoist) teams up with Samantha (Odette Annable) to clear Lena’s name, but it turns out to be harder than they thought. Meanwhile, Alex (Chyler Leigh) and Maggie (guest star Floriana Lima) make a crucial decision about the future of their relationship. Kevin Smith directed the episode written by Eric Carrasco & Cindy Lichtman (#305). 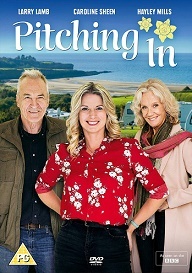 Original airdate 11/6/2017. What if everything you thought you knew, you didn’t know at all? Watch the new trailer for Marvel's Runaways and catch the premiere November 21st exclusively on Hulu. 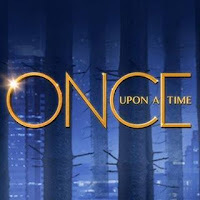 Once Upon a Time 7x05 "Greenbacks" Season 7 Episode 5 Promo - Check out the promo for Once Upon a Time Season 7 Episode 5 "Greenbacks" airing next week on ABC. Blindspot 3x02 "Enemy Bag of Tricks" Season 3 Episode 2 Promo - As the team adjusts to their new dynamic -- and the new tattoos -- they battle a dangerous foreign power that is trying to hijack a satellite. Starring Sullivan Stapleton (Kurt Weller), Jaimie Alexander (Jane Doe), Rob Brown (Edgar Reade), Audrey Esparza (Tasha Zapata), Ashley Johnson (Patterson) and Luke Mitchell (Roman). 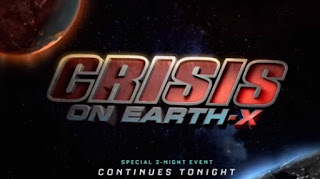 Guest Starring Mary Stuart Masterson (Eleanor Hirst), Jordan Johnson-Hinds (Stuart), Calvin Dutton (Dwire), Sathya Sridharan (Nikhil), Daniel Lissing (Tom Jakeman), Amy Rutberg (Marci Booth), Roy James Wilson (Hunter #1), Jonathan W. Lee (Shady North Korean Man) and Reshma Shetty (Megan).